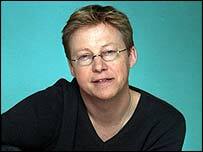 BBC Radio Five Live presenter Simon Mayo is to receive an honorary degree from the University of Warwick. The former Radio One DJ is already a graduate of the university, and honed his skills on its radio station in the late 1970s. He joined Radio One in 1986 and has since won several awards, including Sony National DJ of the Year in 1991. Mayo will be made a Doctor of Letters at a ceremony at the university on Tuesday afternoon.